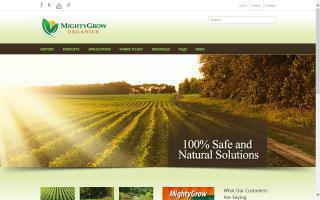 Mighty Grow Organics manufactures OMRI listed organic fertilizer with added trace minerals and beneficial microbes. Easy to use with minimal odor, naturally slow released soil nutrients. Increases the size and flavor of your vegetables, herbs and fruit. Available throughout the SE and by direct shipment from the Mighty Grow.